No, the title of Olivia Newton-John’s new memoir “Don’t Stop Believin’’” wasn’t inspired by a certain rock band’s legendary rock anthem, but the legendary singer and actress’ life has been a journey, nonetheless. Newton-John, 70, admitted in recent phone conversation from California that she never intended on revealing several intimate details about her amazing life in the spotlight and behind the scenes, until news of an authorized biopic being made in her home country of Australia prompted her to start writing the tome simply because she wanted admirers to get the right story directly from the source. Taken from the name from her own hit single, “Don’t Stop Believin’” (Gallery Books/Simon & Schuster) chronicles several personal moments in Newton-John’s life extending back to childhood, yet covers many of her professional achievements as a chart-topping singer (with hits like “If Not For You,” “I Honestly Love You,” “A Little More Love” and the monster hit “Physical”) and starring opposite John Travolta in the legendary movie musical “Grease” (which spawned the hits “Summer Nights” and “Hopelessly Devoted to You”). Released 41 years ago this June, Newton-John is thrilled that “Grease” became not only a hit in the United States, but a worldwide blockbuster -- and she doesn’t mind that fans continue to associate her with the iconic role of Sandy Olsson. After all, the film, along with the 1980 musical “Xanadu” has had such of a positive impact on people’s lives -- and being positive is what Newton-John is all about. “I’m happy to embrace ‘Grease.’ I’m very lucky to be part of a movie that is still so beloved,” Newton-John enthused. “I mean, how many people can have the experience of being in a film that not only people love, but that is still being talked about 40 years later? I’ve always been very grateful for it. I haven’t been in many films, but to be in ‘Grease’ and ‘Xanadu’ -- both musicals that people have really enjoyed -- and to dance with John Travolta and Gene Kelly in one lifetime? I was dancing with the stars way before it was popular, so I think I was very lucky. Newton-John isn’t afraid to broach painful topics in her memoir, though, including three challenges with breast cancer (she doesn’t like to characterize them as battles, but “winning” instead). Even then, Newton-John found a silver lining, raising awareness of the disease by becoming an advocate. 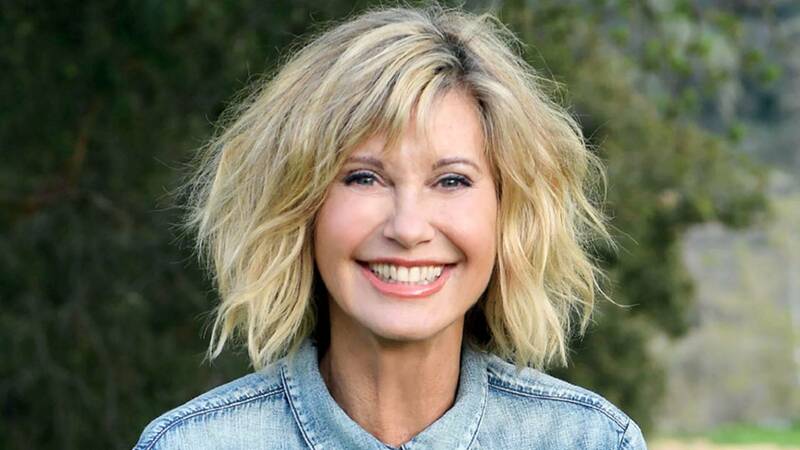 Among her proudest achievements is her help creating and lending her name to the Olivia Newton-John Cancer Wellness and Research Centre in Melbourne.